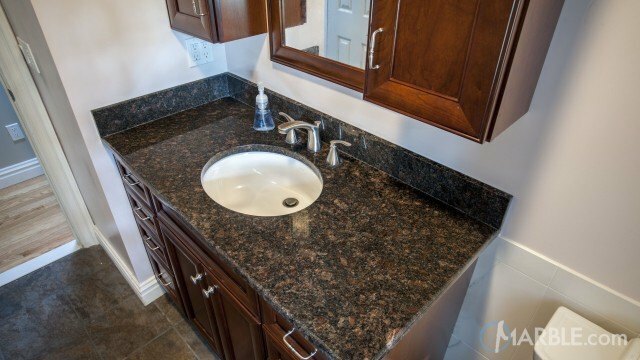 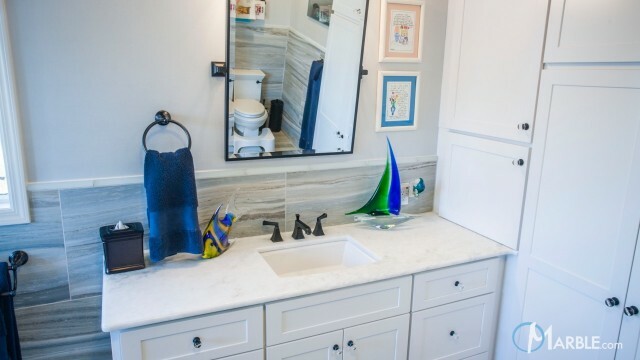 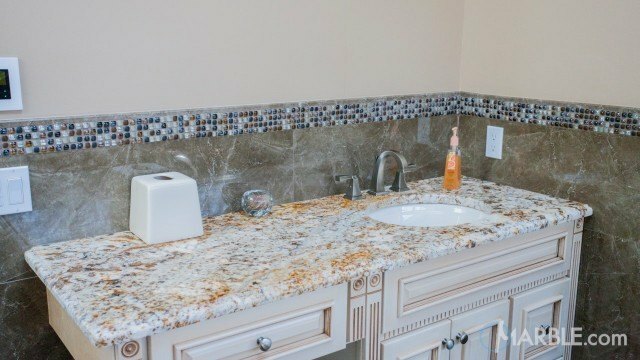 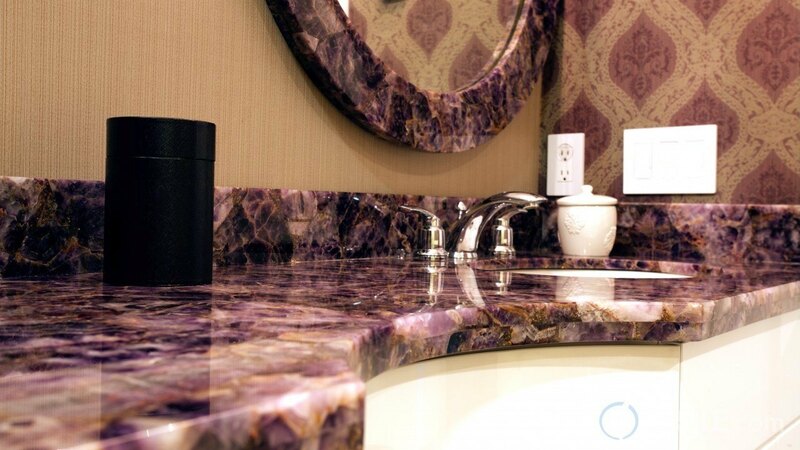 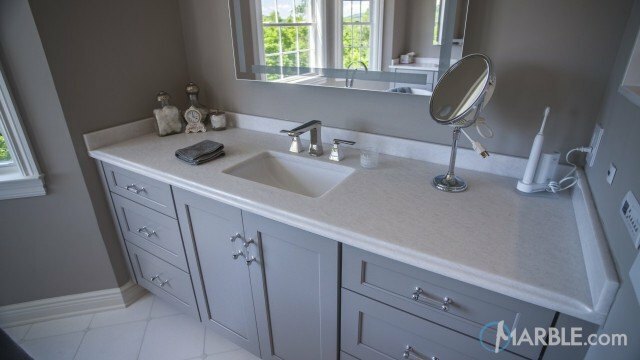 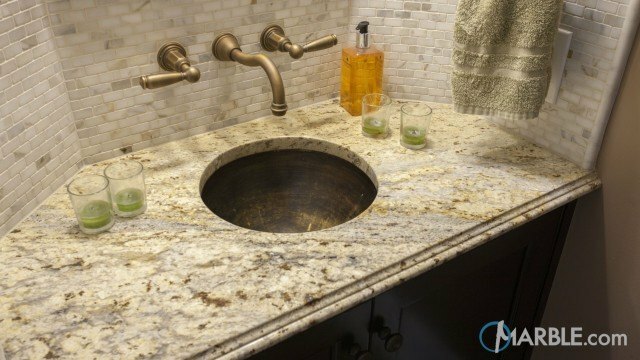 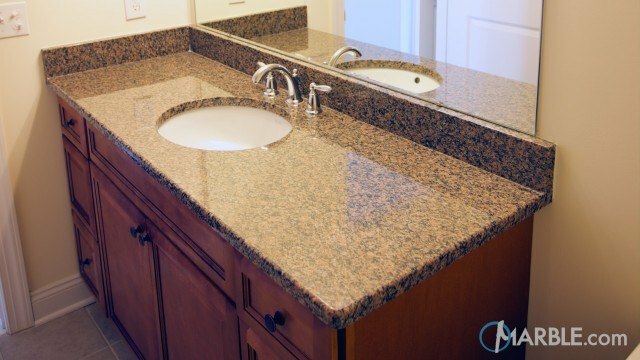 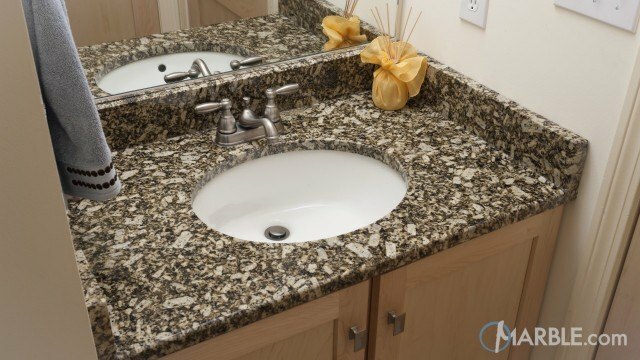 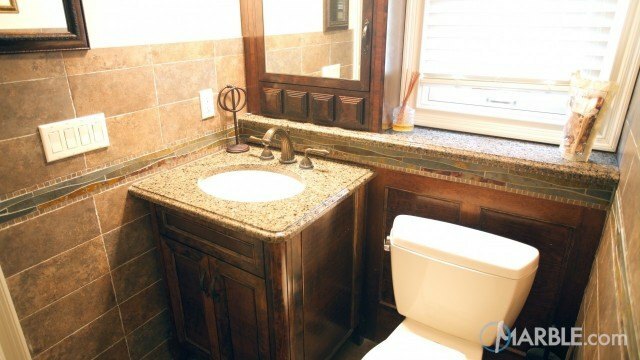 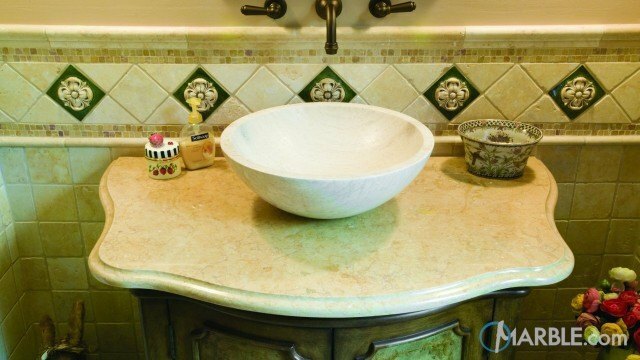 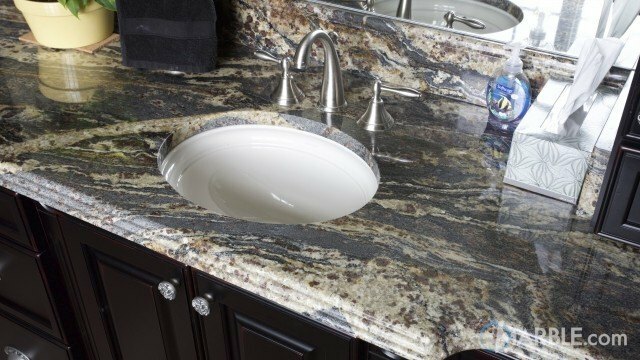 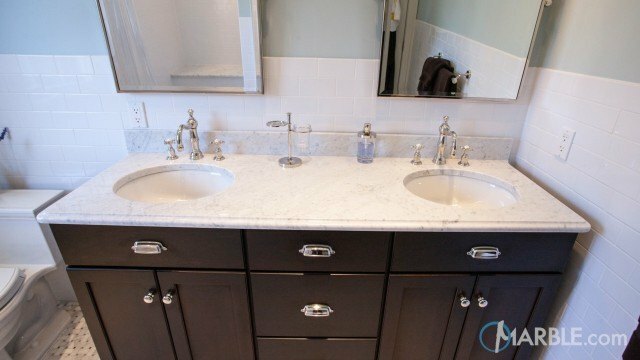 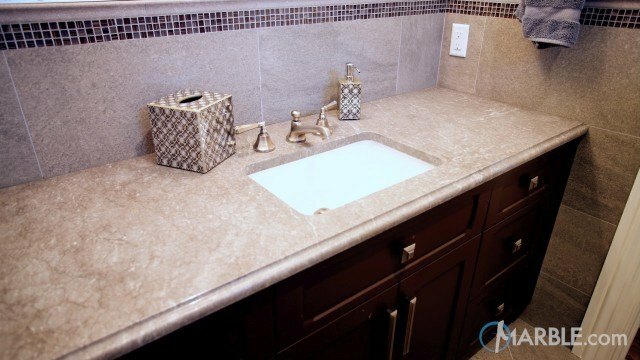 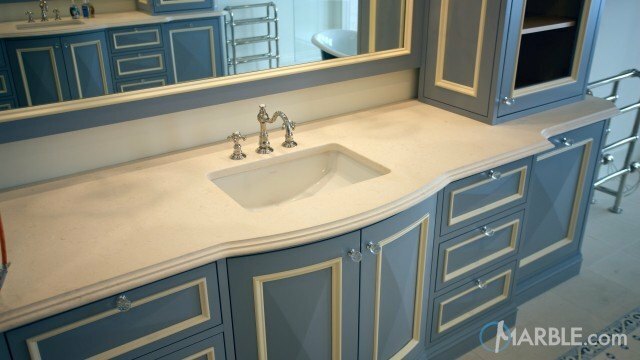 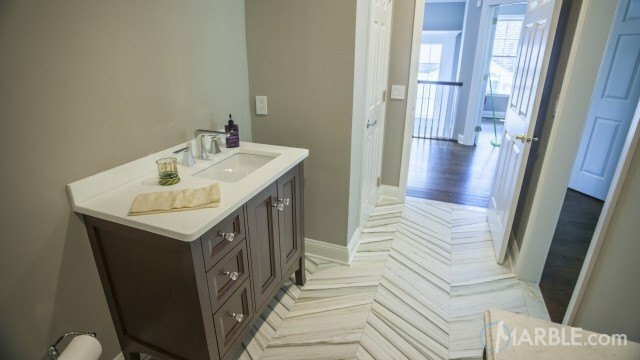 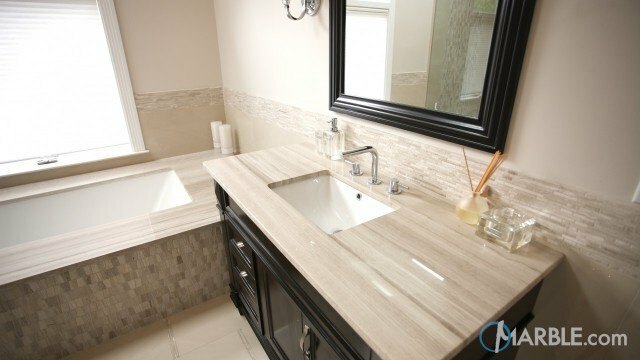 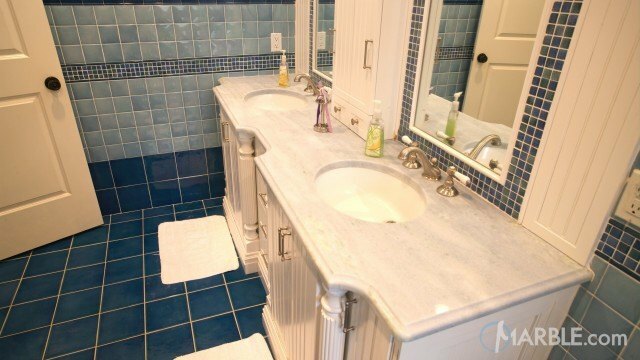 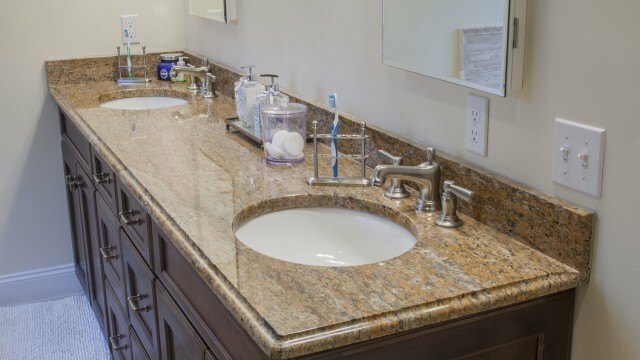 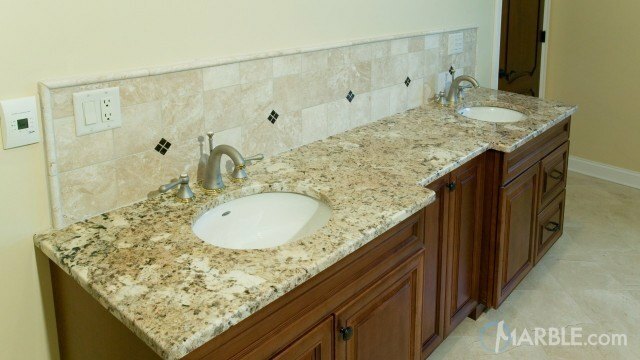 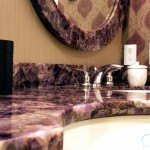 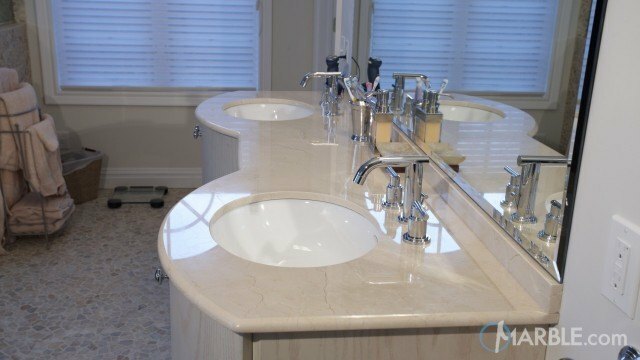 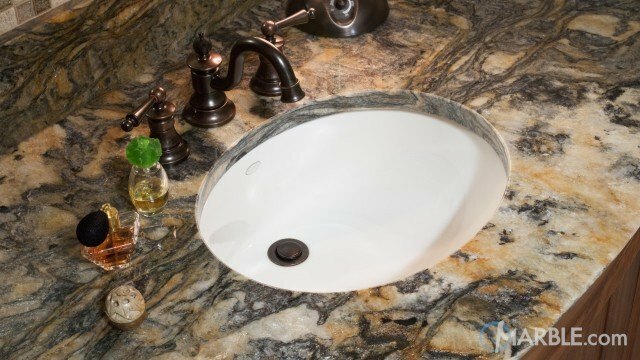 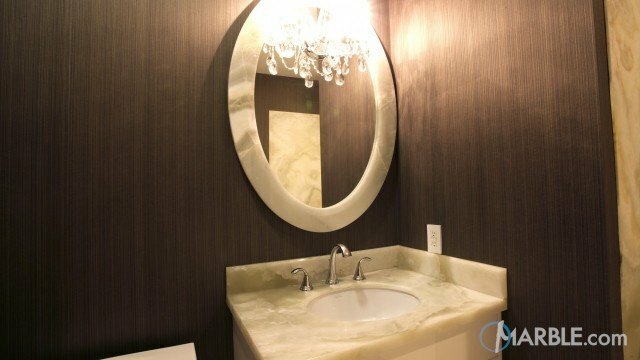 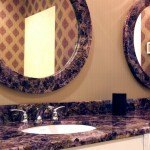 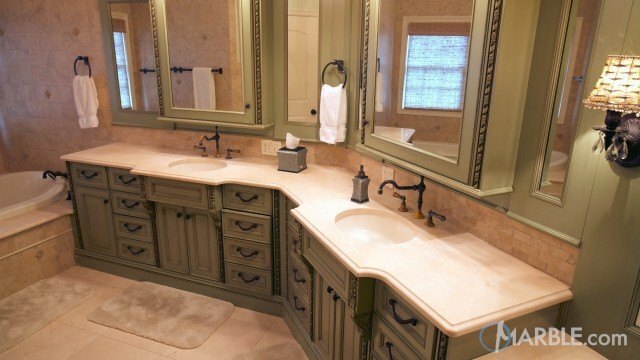 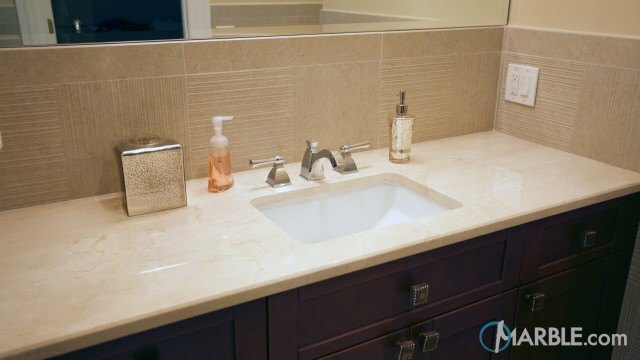 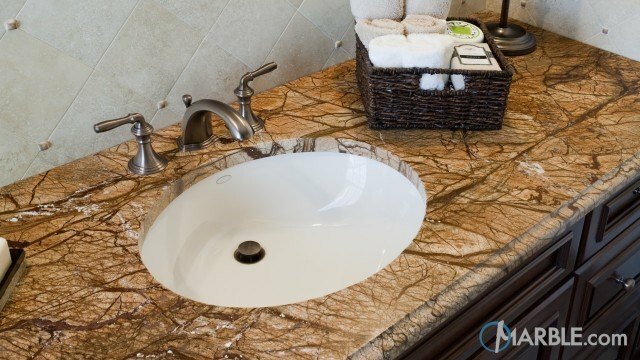 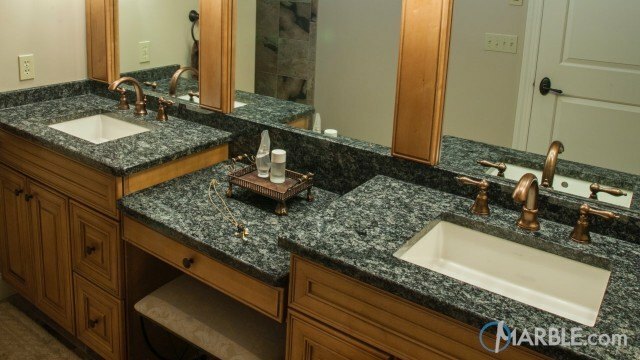 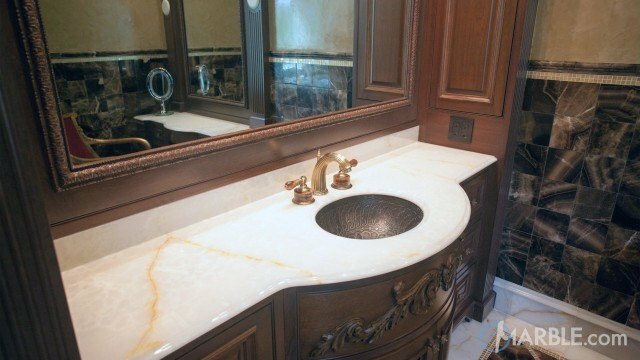 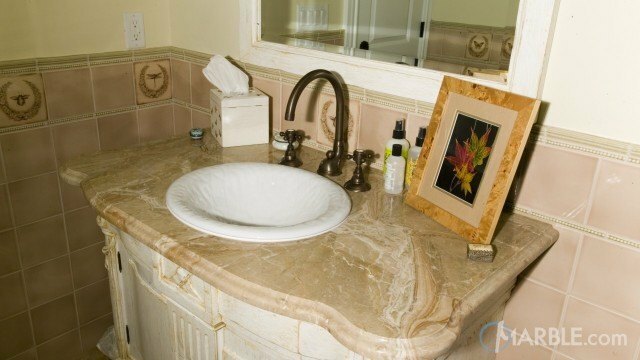 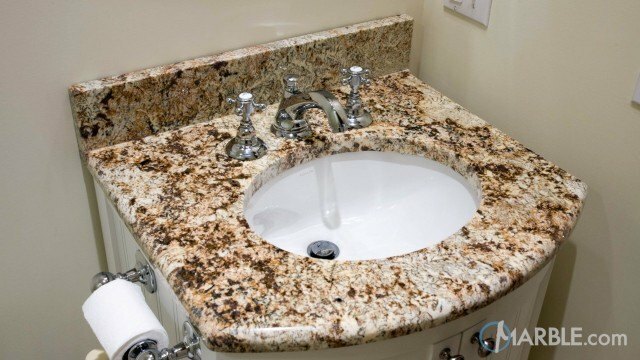 This Amethyst Gemstone vanity top with a Straight Edge adds a unique style to this bathroom. 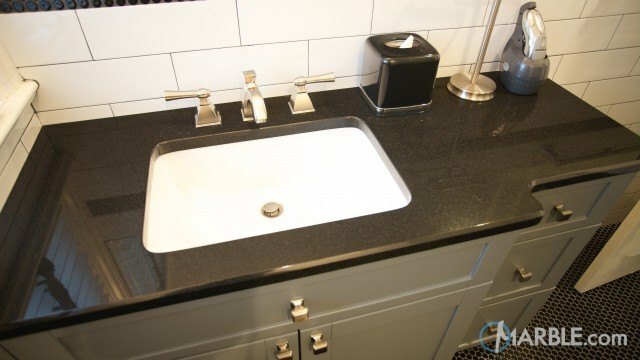 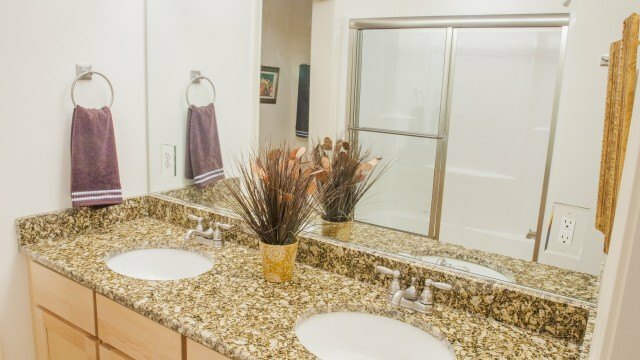 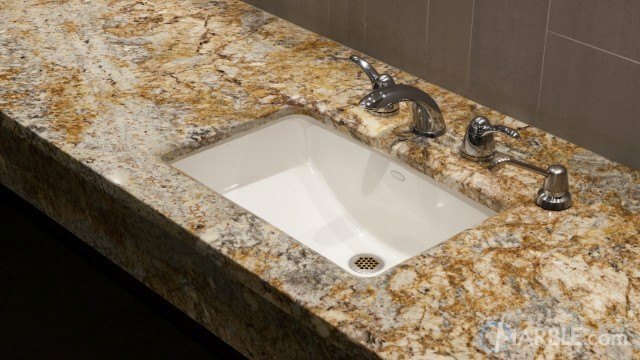 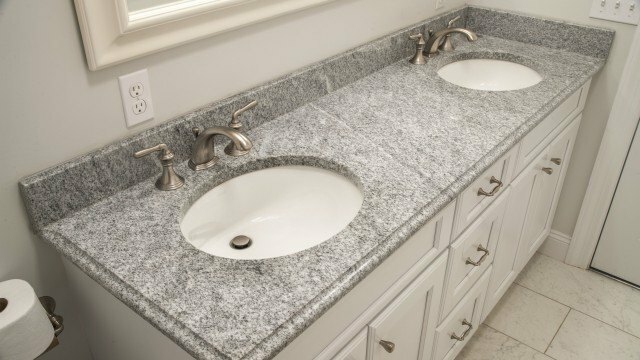 There is plenty of counter space for getting ready for your day. 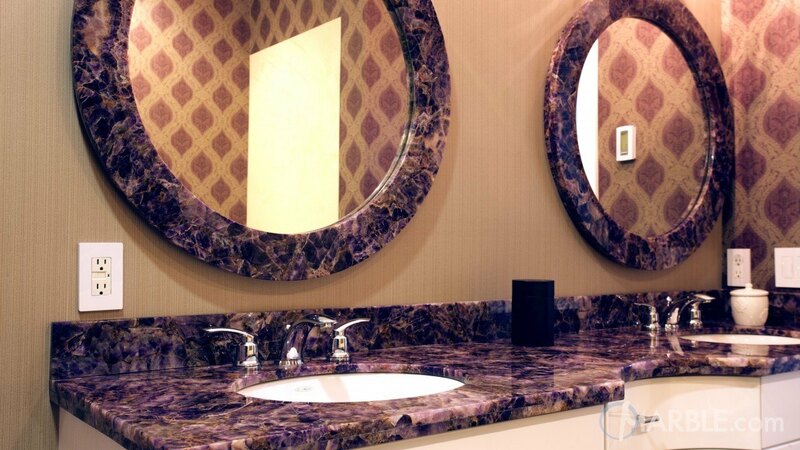 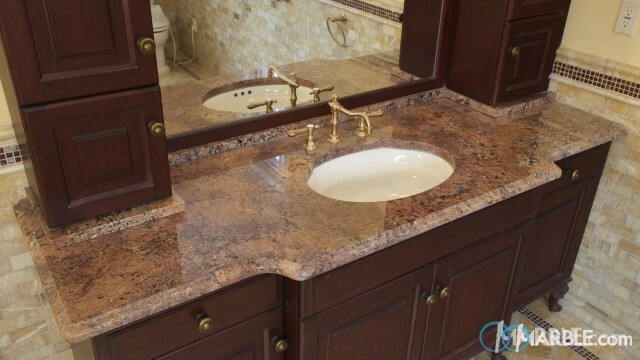 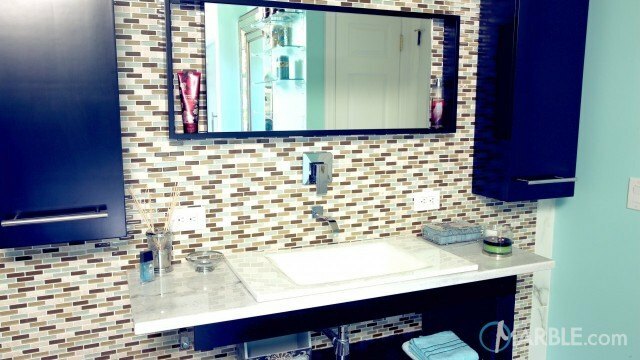 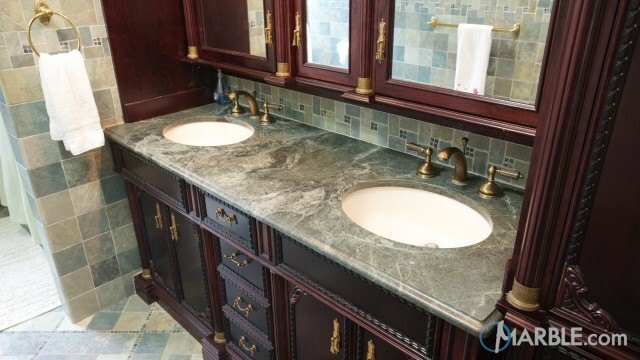 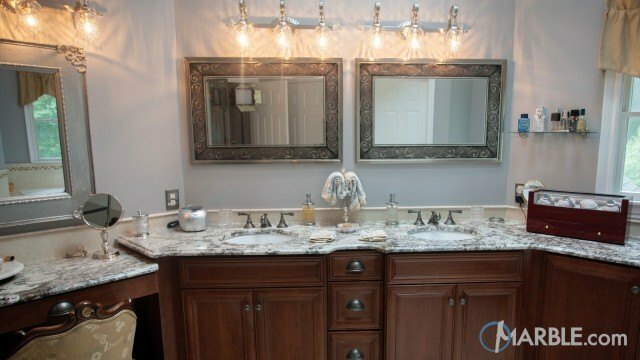 The mirror frame above the sink matches the vanity top and the wall colors echo the Amethyst Gemstone counter top. 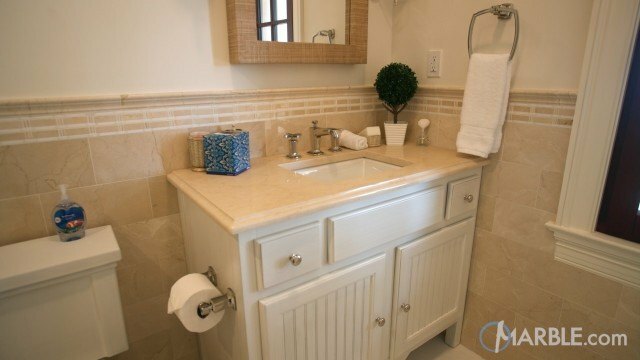 Everything is set off by the white cabinetry and accessories.